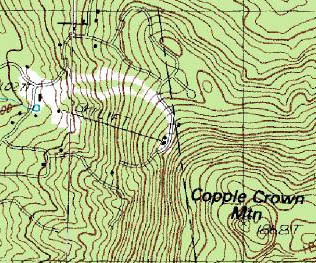 Located southeast of Wolfeboro, Copple Crown burst onto the scene in the mid-1960s as a new ski area served by a T-Bar lift. The new area peaked almost as quickly as it started, hosting the state high school skiing championships. 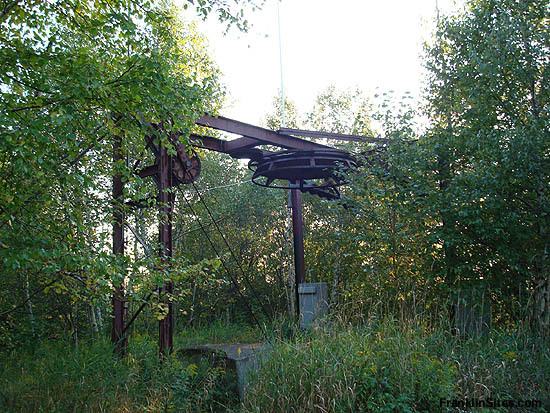 Interestingly enough, the T-Bar stopped nearly 400 vertical feet short of the summit of Copple Crown, resulting in only 500 vertical feet of lift served skiing. 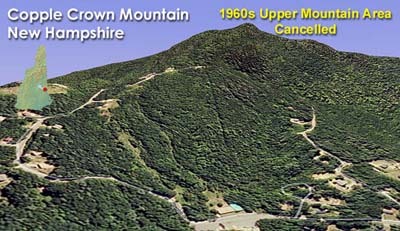 Trails were apparently cut from the top of the T-Bar to near the summit of the mountain in 1966. Locals were rumored to hike up and ski down this upper mountain trails after hours, taking in the lake views at sunset. 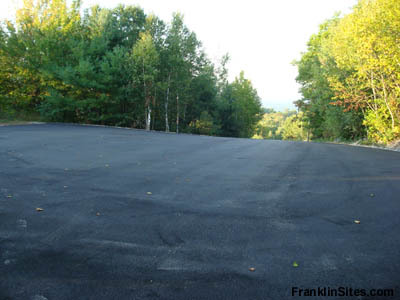 An upper mountain lift was never installed, nor were the trails ever included on any known trail maps. By the end of the 1970s, Copple Crown was closed to skiing.